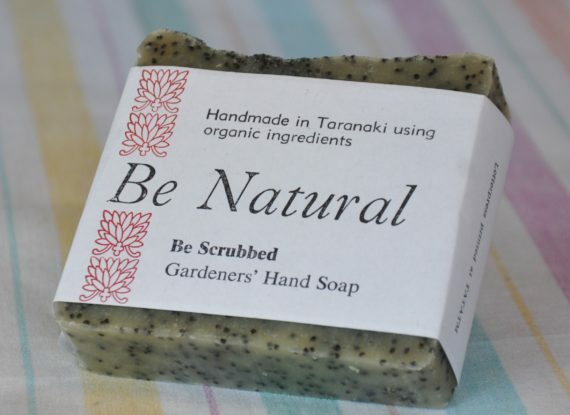 Be Scrubbed - Gardeners Soap, Made in Taranaki. 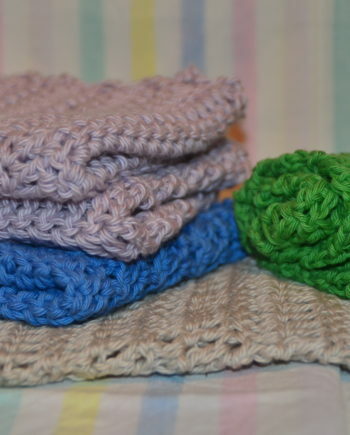 Be Natural’s Gardeners soap is a must have for avid and regular gardeners. It gently removes ingrained dirt and grime,using pumice and poppy seeds – whilst protecting and restoring the skin. This soap is packed full of the organic essential oil of peppermint, thyme, rosemary and lavender. An exfoliating gardeners soap designed to remove ground in dirt from mucky hands, a must-have for devoted gardeners, but even those who have never picked up a trowel will love using our Gardener’s Soap. Made using only the finest ingredients, these handmade soaps are gentle and suitable for all skin types, they also make a gorgeous gift! What makes this gardeners soap so good? Textured with a mixture of quality essential oils and poppy seeds, this gardeners soap combines avocado oil, one of nature’s finest moisturisers, with neem oil to help lift ground in dirt whilst providing essential nourishment for sore, tired skin. The essential oils are chosen for their refreshing but anti-bacterial and healing properties to accommodate any cuts or grazes. Why buy this gardeners soap? 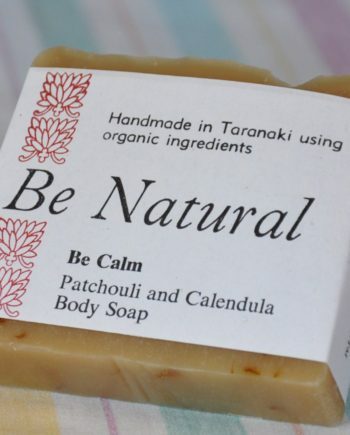 Our range of luxury, handmade natural soaps are created right here in Taranaki. The unique recipe doesn’t contain any Palm Oil so you can have a clear conscience as well as clear skin! Ingredients: Organic Coconut Oil, Olive Oil, Rice Bran Oil, Sodium Hydroxide, Organic NZ Avocado Oil, Almond Oil, Neem Oil, Organic Essential oils of Peppermint, Thyme, Rosemary and Lavender, Pumice, Poppy Seeds, Grapefruit Seed Extract. 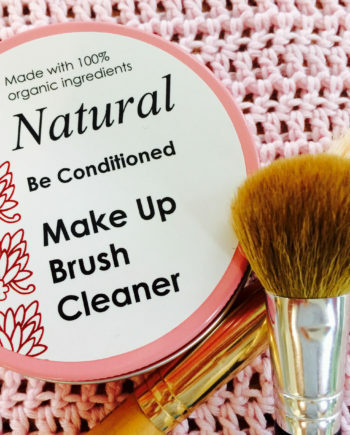 Ingredients: Organic Cocoa Butter, Organic Coconut Oil, Olive Oil, Lye, Organic Coffee Grounds, Pumice, Vanilla Oil, Organic Vanilla Paste, Grapefruit Seed Extract.